If your child has been admitted to hospital, they are probably staying on a children' cancer ward. These are generally friendly, positive places and staff will offer both you and your child plenty of help and support. Most children’s wards have staff and facilities to help keep your child occupied. Only your child is eligible for hospital meals, but there will usually be a kitchen where you can make a cup of tea and possibly prepare snacks. There are usually showers available for parents and a place to wash your clothes. Most hospitals provide information about their wards, facilities and the local area. You can check out UK hospitals in your area. Anything your child will find comforting to have with them such as a cuddly toy or photographs. Aim to get off the ward for a short break each day, even if it’s just for a quick coffee or a walk around the block. Ward staff will support you with this. When you leave the ward, let a member of staff know how long you’ll be gone and how to contact you if necessary. Try to keep things as normal as possible for you and your child – that includes the usual boundaries you set for their behaviour. If you have any worries or questions, talk to a member of your child’s care team. It may be helpful to write down questions as they occur, so you remember them. Most children’s wards have a TV and video games available and these can be a useful way for you and your child to build relationships with other families. Try taking an active role in your child’s care by helping them with meals, wheeling their drip, taking them to the toilet and so on. If your child is struggling to cope with aspects of treatment, most children’s wards have play specialists who can help. 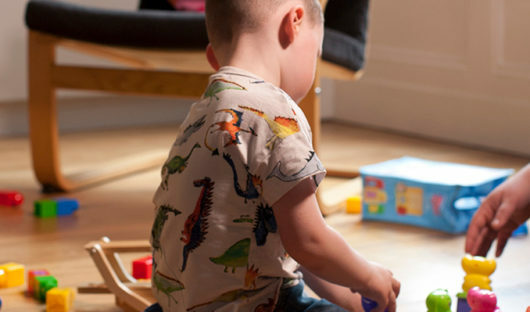 They use play to help children understand what’s happening and cope with their treatment. Feel free to draw the curtain round and spend some quiet time with your child when you need to. Occasionally, you may be asked not to do this if staff want to closely observe your child. Just ask if you aren’t sure. Around the corner from hospital, our Homes from Home keep families together during treatment. Is a clinical trial right for my child? What a clinical trial means for your child and how research can improve care for other children in the future. Read more about Is a clinical trial right for my child?